Are There Any Crystals That Can Make Me Stop Thinking About My Ex? I was wondering if you know of any crystals I could use to help me stop thinking about an ex? Thanks for your help. I’m sorry that you have been thinking about your ex a lot lately. Unfortunately, crystals can’t “make” you do anything, but they can change the energy of the situation to help improve things for you. Either way, it will still take some time for your heart to heal and for you to be completely over your ex. Try wearing a pendant made of Rose Quartz or Morganite to help your heart to heal. Citrine can boost your self-esteem and self-worth and is a good crystal to keep nearby when you are trying to get over someone. 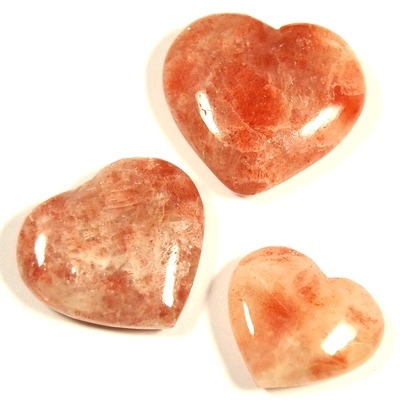 Sunstone is another crystal that I recommend to bring joy and happiness into your life. I hope these crystals help you to feel less heart ache and move forward. Please let me know if you have any questions. I hope your journey is blessed with Love and Light.